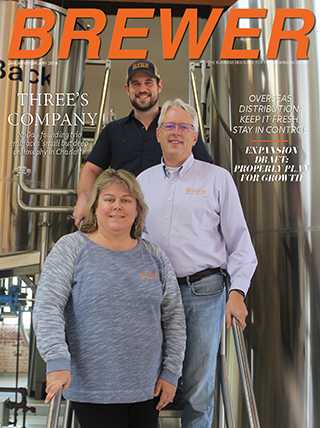 Finding and keeping employees helps a brewery stay on track when it comes to all aspects of the process, be it in brewing, packaging, sales, marketing, distribution, administration or customer service. 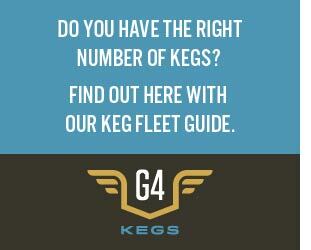 As the amount of breweries grow seemingly by the minute in the U.S., so do the employment efforts. For many more established breweries that can mean a loss of employees that are looking to leave for possible greener pastures. Many breweries have stepped up by creating a culture of family while boosting benefits and morale. 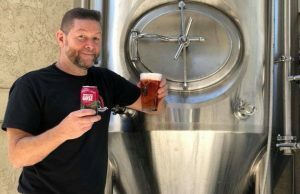 As New Belgium has grown, a big challenge, said HR Director John Gamlin, has been making sure that people stay connected. “We successfully maintain a strong sense of community, and that translates directly to retention,” he said. For Jill Scanlon, the HR Director at Odell Brewing, it’s been a newer experience. She joined the brewery in June 2016 after years of HR work in other industries. 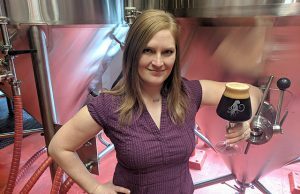 It was quite the change and something that she’s enjoyed in the craft beer field and now loves to be a part of a community of co-workers where she can explain the benefits to newer employees. Odell, along with New Belgium both are employee-owned companies, which is different than the standard business that has a typical ownership/management group with employees. But most breweries seem to operate with a family culture anyway, which is why Scanlon and others are drawn to wanting to stay in the atmosphere. For example, at Odell new hires are paired with a “Brew Brother” or “Brew Sister”. It’s a buddy system where more tenured coworkers work with a new hire. “They really help them acclimate to the culture piece of the brewery,” Scanlon said. “We line up folks that are from a different team. Production might be connected to someone in sales. Or accounting. So they get a different perspective and get connected to other parts of the organization of the brewery than they otherwise would be connected with. Marrero noted that increasing staff morale has been a key and they’ve focused on having a strong safety program along with onsite cookouts, holiday parties, team building events and continued employee development, including paid travel as some perks. Matt Cutter, the founder of Upslope Brewing noted that his employees work hard and have a lot of fun at work. Even before becoming an ESOP in 2015, Odell already had that ownership culture, which was reinforced from the Odell family down, noted Scanlon. “Part of that culture existed already was here and it has continued, which I feel is very unique and helps with retention, and recruitment and engagement is our committee structure,” she said, adding that the brewery has created other ways to keep people in tune and communicated within all departments. One such way is committees, including one on wellness, a charity group and others that help deal with small parts of the brewery as a whole. The committees are fairly flexible with each person choosing one committee for a two-year commitment. New Belgium, which is also an ESOP, has an annual retreat where everyone’s voice is heard and the entire staff talks big picture, strategy, state of the industry and more said Gamlin. Gamlin said they also make a point of having fun together. A shift beer to celebrate the end of the work day is a daily tradition. Co-workers are given a New Belgium bike on their first anniversary with the company as well. And they have an annual trip to Belgium for those who have been with New Belgium for five years. Upslope, located just down the road in Boulder, has echoed that as well. But the family and ownership culture still can’t always compete with money. 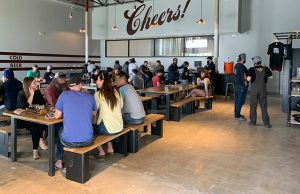 A few ways in which Maui increases compensation through those types of benefits are by having a brewery bonus program based on measurable areas, with tenure being heavily weighted. There is also personal time paid off for all brewery full-time positions at the start of employment along with six paid holidays and a 401k which includes company dollar matching for the first four percent of contribution and a number of payroll deductions to be taken out pre-tax to help minimize tax liability. Employees working 20-plus hours are eligible for company health care insurance plan for medical, dental, prescription, and vision coverage. Medical coverage includes chiropractic and acupuncture services, and life insurance coverage. Other perks include a gift bag for new employees, free shift beers, phone plans for employees that need them for work use, employee discounts and a monthly allowance for take-home beers and logo wear. He added that flexible schedules allow better work and life balance and further adds to loyal employees. The switch for Scanlon has been ‘amazing’ since moving from her previous employment outside of craft beer into the Odell family. 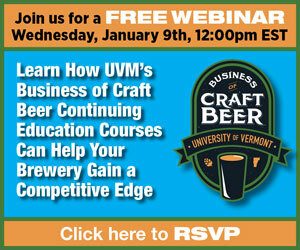 It’s very ironic that Maui Brewing is used as an example here. Their employee retantion is terrible, 2 years max. They basically lure production employees to move to the island selling “the island life” as one of their perks, while paying very low wages. Living in Maui is expensive and that shouldn’t be perceived as a benefit. With virtually no competition and no other brewery to go work for, these people who move here find themselves in a tough situation. Most people leave everything behind to move here and come expecting that ohana treatment, which is definitely just a slogan. Maybe she was referring to the pub employees, like bartenders and chefs. They get paid more than brewers and yeah the retention rate is higher, but after all, they’re a BREWERY not a restaurant. The HR director of Maui Breweing quoted in this article is also the owner, so yeah very biased. Employees don’t event have a designated person to speak to about these issues, they’re afraid of losing their jobs by speaking up to the owner. To piggy back off “Alex”, I couldn’t agree more. The hiring managers and owners sell an image that is not true to the reality of their production team. Even in this artcile, when they have no reason to be misleading they cannot tell whole truths. There are no gift bags for new hires, I dont know anyone who received assistance moving to the island or any kind of “free travel”, and there is no professional development monies in the production floor budget that exists for anyone to take advantage of. Until there is true employee representation by an impartial HR representative, we will always be seen by our ever expanding owners as replaceable cogs instead of part of their ohana. Yes this article is misleading and biass. I don’t believe Maui Brewing is paying their employees more than the average brewery across the US. The No gift bag and only “free travel” for some not all is the least of the issues here. The issue is cost of living vs a livable wage. The way you retain employees is to pay them the average cost of living for their geographic area. The average modest cost of living in Hawaii is about 50k a year where most brewers are making 20-40% less than that. The average modest apartment is $2,000 and food costs along with every else is higher on Maui compared to most other places. As for retention, when you move to this beautiful place to work and live you can’t maintain longevity without burnout so most leave before 2 years and go to smaller breweries to get paid more and live in less expensive place. And as far as benefits being a perk they offer it’s actually required by law to offer health insurance in the state of Hawaii to employees working 20+ hours. So not only are they making the koolaid but they are drinking it too! Yes there is a price to pay to live and work in paradise! Yeah I was a former employee and can vouch for the fact that it was very difficult to live on Maui for the wages I made, but that’s kind of typical for Maui. I was just surprised to see this because employee retention must be one of their biggest struggles because there was a very high rate of turnover on the production floor. 90% of everything thing that’s said is about Maui Brewing is not only a joke a blatant lie. They provide nothing and even though most people don’t ask for much what they do ask for respect and they can’t even give that. There medical that is provided is required by Hawaii state law and is the bare minimum. A person who serves beer one shift a month gets the same shift beer allocation as a brewer does who work full-time they whole month. There is zero regard to the fact that they are a brewery aside from the fact that beer generate a lot of revenue to put toward other ventures. They have as much regard towards the quality of beer as they do the customers who buy the beer, which in my experience is downright shameful. They have shown to care about neither, so long as one keeps selling and the other keeps buying. There is Zero investment put toward the production staff, primarily brewers, because they have a monopoly on employment on the small island. They bring brewers in from the states with lies. Once they are there it’s hard to go back after the investment of the move. There is no where else to seek employment as a brewer and they use that as leverage, to retain employees; much like slave labor. Worst career move I ever made. Almost ruined my perseption of the industry and the craft movement; but moving to a place that cared about beer, brewing, brewers and the industry revitalized that. Don’t buy their lies and most of all don’t get suckered into employment over their lies. I don’t know how I stumbled on this article, but the comment section was amazing. Thanks you guys for the laughs. I had to go back and read, not scan through, to get the deets. Sounds like you fellas need a new job, one that gives a s&%* about beer and brewers.